Ruby on Rails emphasizes the use of well-known software engineering patterns and principles, such as active record pattern, convention over configuration (CoC), don’t repeat yourself (DRY), and model/view/controller (MVC). This article applies to all releases of Ubuntu so it should help you to install Ruby on Rails on Ubuntu 12.04 LTS, 13.10 and any future releases. The majority of articles regarding this subject are release specific and very long. We’ll keep this one short and simple! It is important to make sure that your server is updated. On Ubuntu servers, you will need to run the following commands to update your repositories and your system. We’ll also need some basic requirements on your server. We will be leveraging the RVM project to help us install the latest Ruby release. When we will install RVM, we will tell it to compile and install the latest Ruby release and download Rails as well. RVM will automatically download, install and compile the latest release of Ruby. 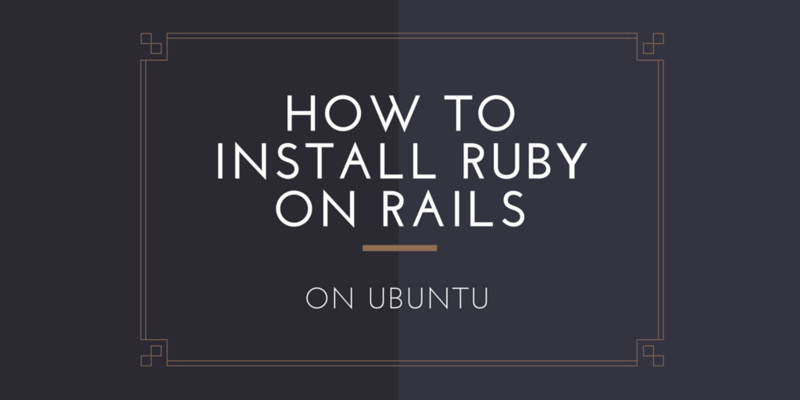 Once it’s done with that process, it will install the latest release of rubygems which is required to install Rails. Afterwards, it downloads and installs Ruby on Rails on your server. Your Ubuntu machine now has the latest Ruby and Ruby on Rails installed on it without worrying about installing dependencies and complicated compilation processes, all it took was one short command!